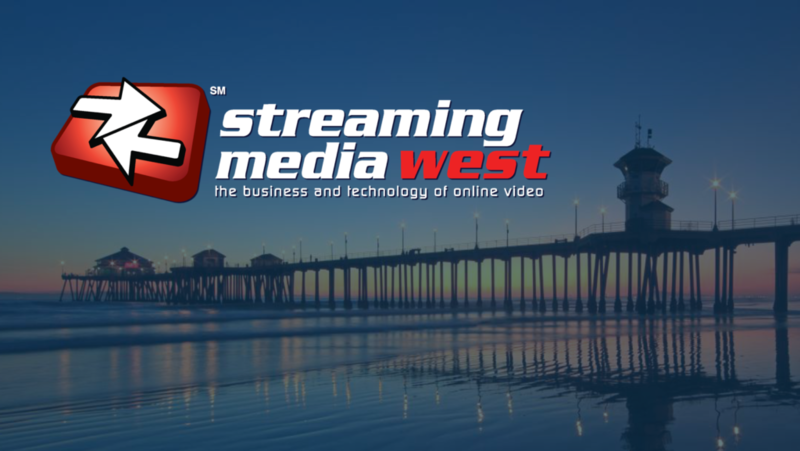 Streaming Media West is quickly approaching. This year’s edition takes place Nov. 13 and 14 at the Hyatt Regency Huntington Beach and will cover the entire online video ecosystem from distribution to monetization. On November 14, from 11:30am to 12:30pm, our own Strategic Account Director and CDN industry veteran Alexandra Giusto will host a panel on how content owners are working to scale their delivery infrastructures to growing audiences. We will look at optimization efforts throughout the delivery workflow, with a special emphasis on multi-CDN and multi-vendor strategies, mesh network delivery and hybrid cloud and in-house delivery solutions. This four-part panel aims to give a 360° view of the delivery landscape of today and tomorrow. What is the biggest short term challenge? How will you prepare for unprecedented growth in demand? What will video delivery look like in 5 years and beyond? Don’t forget to register for the conference, and check out all the details about the event’s offering in the schedule here. Also, don’t miss the opportunity to meet our team of video streaming experts to learn more about our different solutions: Streamroot DNA™, DNA Enterprise, and our brand new midstream multi-CDN switcher, Compass. To schedule a meeting with us at Streaming Media West, simply get in touch with the contact form below.